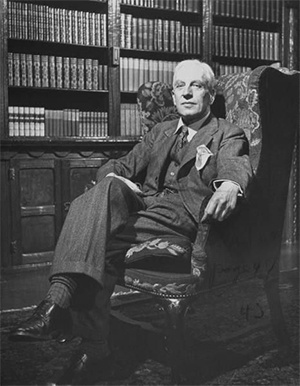 Arnold Toynbee (1889-1975) whose birth anniversary we mark on 14 April, was a historian, a philosopher of history and an advisor on the wider Middle East to the British Government. Already a specialist on Greece and the Middle East from his university studies and in the intelligence services during the First World War, he was an expert delegate on the English delegation to the Paris Peace Conference of 1919. The breakup of the Ottoman Empire and the creation of new states in the Middle East followed. Also there was the start of Zionist activities in Palestine and frontier and population transfers between Greece and Turkey - all issues on which Toynbee gave advice. He became director of studies of the Royal Institute of International Affairs (Chatham House) an early "think tank" created to advise the British Government. At the same time that he was an advisor on the Middle East (Chatham House producing a respected Yearbook on world affairs) Toynbee continued writing on the classical antiquity of Greece and Rome, much influenced by the spirit of Thucydides. Toynbee was struck by the alternative between union and division as the defining characteristic of classical Greece. These were the centuries of the flowering and then final decadence of a civilization which bears remarkable parallels with the history and perspectives of modern Europe. Toynbee argued that Greece's economic development, based on colonization and commerce, together with the maintenance of the political sovereignty of the very small territorial units of the city-state, created an imbalance that could not last. The city-states, if they did not want to return to autocracy and economic backwardness, should have created a pan-Hellenic political organization to manage problems. In the same way that Greece failed to mitigate the anarchic character of relations between city-states, so Western civilization may flounder and fail. As Toynbee wrote in Mankind and Mother Earth "Evidently few people are ready to recognize that the institution of local sovereign states has failed repeatedly, during the last 5,000 years, to meet mankind's political needs, and that, in a global society, this nstitution is bound to prove to be transitory once again and this time more surely than ever before." Toynbee placed his hope in creative leaders, who, seeing the challenges of the times, would respond with the creation of new, more just and peaceful institutions. The number of creative leaders has been in short supply, but the challenges still face us.